Hi! It's been a bit so... HAPPY NEW YEAR! Meet little Miss Caitlin! 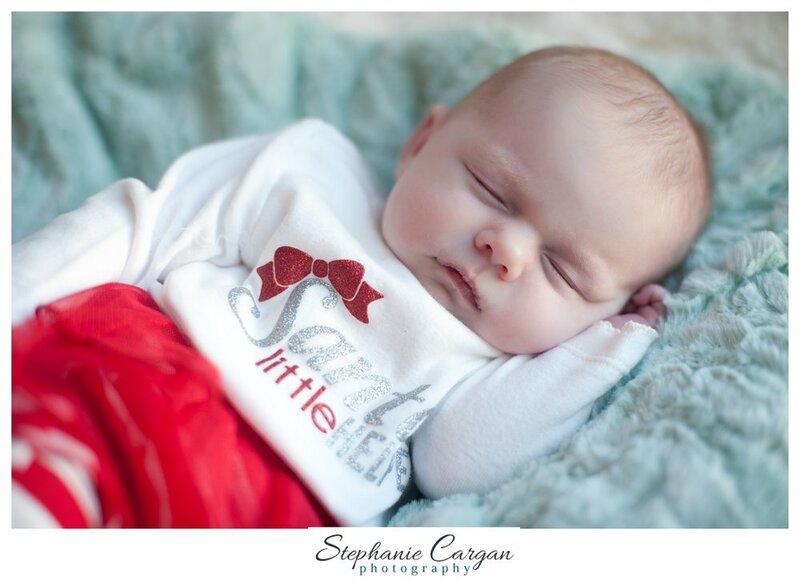 She is just so so sweet and squeezed in some time to model for me before Santa came! She is one lucky little lady to have Meghan and Mike for Mom and Dad... they are both rock stars. You would never know that they just welcomed this little thing into the world. She was being nice and letting them get some sleep... Keep that up, baby girl! If you know Meghan, you know that she is a complete natural at this. She is just always so calm, cool and collected in everything she does. I often strive to be even just a little like her as nurse and now I will strive to be a little like her as a Mom too! I couldn't be happier for you guys! She's perfect! Can't wait to bring her over a new friend to play with in a few months!